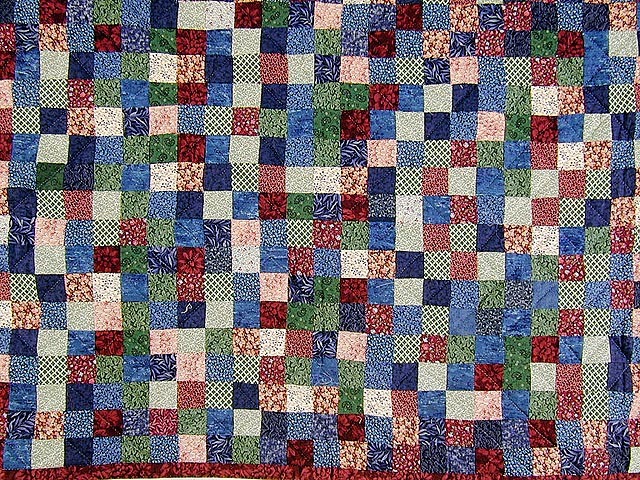 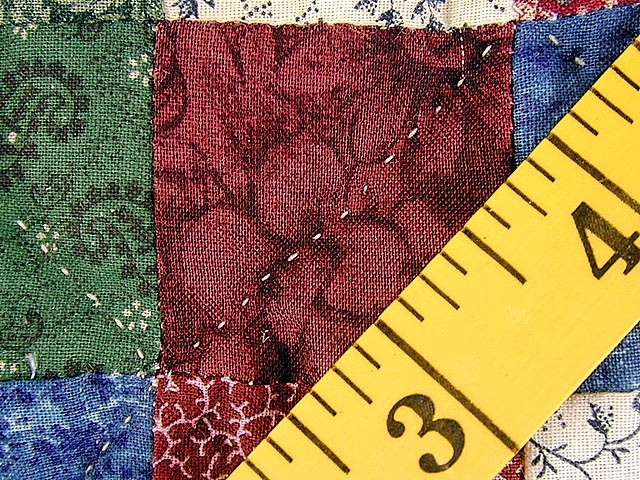 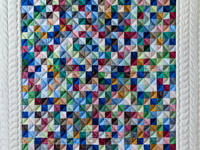 This quilt will be perfect to cuddle up with on any cool night! 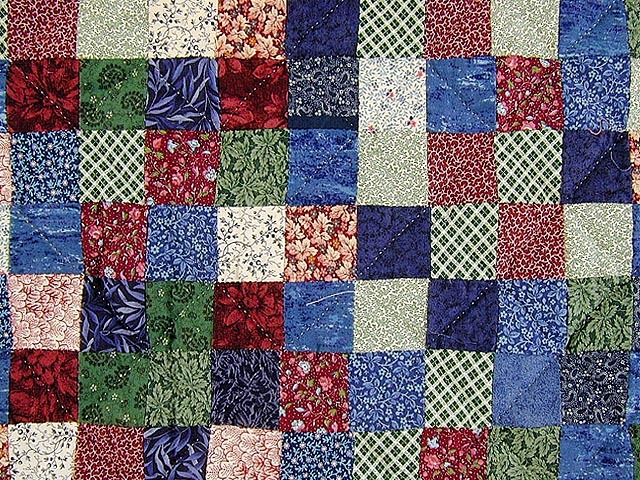 The blue and burgundy patches with a touch of green and cream will complement many rooms. 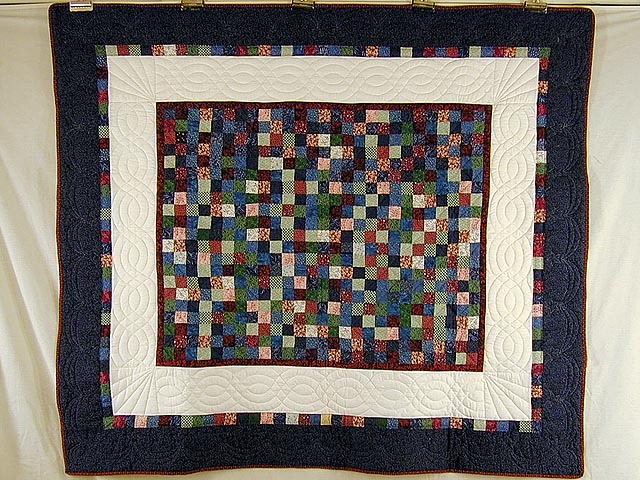 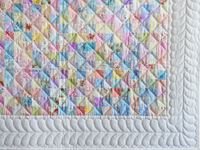 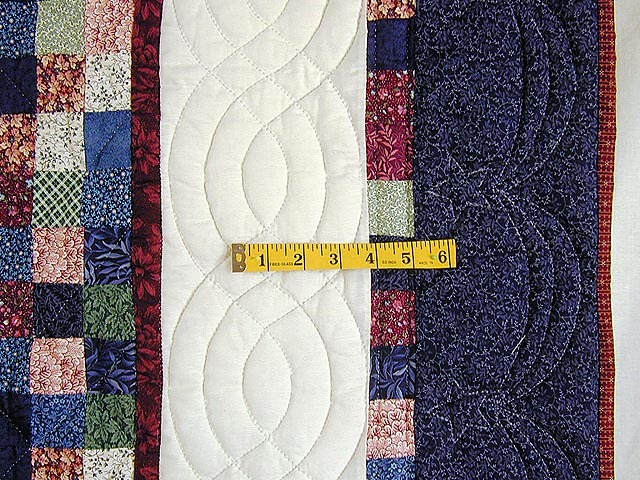 The borders of cream and navy are very nicely quilted. 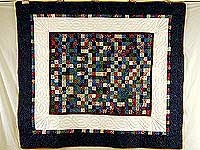 Made by Lancaster Amish woman.